Posted 9:41 am by Rena Anya Devéza & filed under Alexander Technique, torn meniscus. I’ve gone through two weeks of physical therapy now. I’m happy to report that I managed to do five minutes on their highly uncomfortable stationary bike. It’s too big and unwieldy for petite me. This after not being able to do one minute on my own bike, my lovely, retro Bianchi Milano Alfine hybrid, which is now ensconced on it’s trainer, thanks to the expert assistance of the fabulous Marcos of Champion Bicycles. Not completely fixed up though… I do need a riser block for the front wheel, which Marcos is ordering for me. The really fun thing that I did the other day in p/t was getting in and out of a chair! Two sets of 15 times! Wow! I gleefully did my two sets, slowly, while talking myself through them, imagining that my teacher was there to guide me with his hands. An AT lesson at p/t! It was a fabulous thing to do, and it was totally unexpected. First time I’ve been able to get up and down from a chair in a few months. I explained to my therapist that this activity is a major part of my Alexander Technique lessons. Went on to elaborate about chair work. She told me, coincidentally, that one of her colleagues had taken an AT lesson the other evening! So I asked her to find out where and with whom, and if it was a group class or a private class. Back to chair work. A few weeks before my surgery, my desk chair got fixed. It’s my favorite chair. It used to belong to my grandparents. It’s old and beat up. But it is comfortable. And homey. It’s the one I sit on the most. One of the legs kept coming out of the place where it was supposed to be. I was in danger of falling. I thought that falling with a torn meniscus was kind of a bad thing to experience, so my friend came over to perform surgery on it. I had no idea he was a carpentry expert. It’s kind of wonderful when you discover an unexpected talent in someone. Me…fuhgeddaboudit. No chair fixing for me. 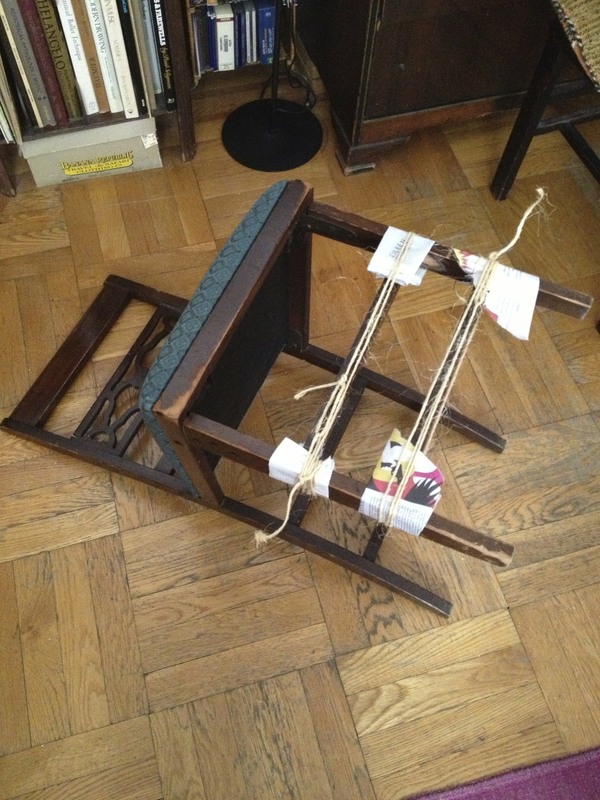 Well, I do have other skills… So…hoping that I will get as fixed up as well as my chair. And hoping that at my next AT lesson, chez moi, I will be able to use my chair for some real chair work! I’ve been thinking about Gustave Flaubert a lot these days: “The art of writing is the art of discovering what you believe.”And “Innovation: toujours dangéreuse.” (Innovation: always dangerous). Well, more on that quotation later. Meanwhile, maybe it’s time for me to dip into Madame Bovary or L’Éducation sentimentale again! J’adore Flaubert!